LakersGround.net :: View topic - Brian Windhorst Breaks Down the Disastrous Lakers Season. Brian Windhorst Breaks Down the Disastrous Lakers Season. Posted: Tue Mar 12, 2019 9:44 am Post subject: Brian Windhorst Breaks Down the Disastrous Lakers Season. Brian Windhorst, Kevin Pelton, & Kirk Goldsberry on the ESPN NBA Podcast broke down the Lakers season. Even though I have disagreed with Windhorst through out the season, I have to admit he was right about the Lakers/Lebron situation. I know this is rehashing a lot of things we already know about the Lakers, but it’s important because other people around the league have noticed it also. Here are some key points. 1. The blood clot in Ingram’s shoulder was caught in time and who ever looked into his injury further should receive immense credit (since it’s potentially life threatening). Blood clots are very treatable, but another one could end his career. He also said that people around the league feel this does a lot damage to his trade value (obviously). 2. Sports Science and Medical Science in 2019 is very important and there’s legitimate concern that the Lakers are not prepared to deal with these realities. Windhorst has heard this question come up many times. 3. Windhorst cited a Kevin Arnovitz’s Lakers article from over the weekend. The article said Magic determines his success or failure based on what stars he can bring to the Lakers. The Lakers set aside team building for “star hunting”. The Lakers aren’t worried about player development, draft procedures, and player personnel. 4. The Lakers are looking for a center but let Lopez, Bryant, and Zu walk out the door. 5. Again citing the Arnovitz article, they said that the Lakers are behind in innovation, cap strategy, analytics, etc. The Lakers act entitled and aren’t innovative like other top teams. 6. Windhorst said that even though the Lakers make the most money in the NBA, they operate like a small market team since the Buss family aren’t as rich as other owners. They have holes in many operational positions. 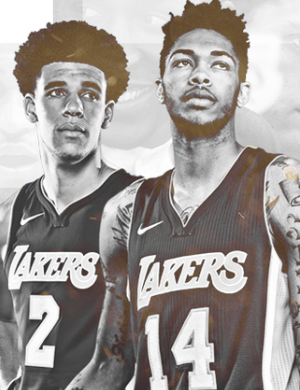 The problem is the Lakers don’t have the proper make-up like a small market team that have to build through the draft and can’t rely on the same income the Lakers have. Once again citing player development and the failure to develop Russell, Ingram, and Ball. 7. Lebron is an expert of influencing moves without taking any ownership. He said the Lakers misunderstood what dealing with Lebron is. He felt the Lakers didn’t do any research in the Lebron department. Ultimately Magic is the GM and it’s his job to put his fingerprints on the team. You can ask Lebron who he wants, but he’ll never take ownership of it. It’s Magic job to make the right signings (not KCP, Lance, Rondo, and McGee). 8. There’s a proven formula when building a team around Lebron and the Lakers defiantly went against that. The 2019 Lakers are a failure in team building and vision. The leading 3 point shooter on the Lakers is Kuzma and he ranks 55th in the league in percentage. Cleveland always had people over 40%, Kuzma is shooting 31%. 9. Pelton ends by saying the Lakers should get complimentary free agents instead of pitting them against the young core (ie Rondo vs Ball, Beasley vs Kuz, etc). He pointed out how the Clippers have 1 year contracts but still remain competitive. 10. Lakers should look into a player like Bojan Bogdanović this off season, but you’ll never hear that name coming from the Lakers or their fans. It's good to hear national pundits moving away from the bullsh*t two star narrative and more towards an organic build that complements LBJ and the young core. Doubt it will penetrate Magic's thick skull... as I'm sure he's out to prove everyone was wrong about him... but if the media narrative shifts... at least there is some hope. I listened to that podcast and they were spot on. Your welcome IG. We know pretty much how people feel on LG. We know how Anthony Irwin, GT, and others feel who cover the Lakers on a daily basis. But it’s so interesting to hear all this from an outsider, but someone who also knows Lebron like the back of his hand. I wish Windy went on TV and said this stuff so The FO could hear it. Why did they bring up Bojan btw? Are we actually interested in him? I like the other Bagdonvich in SAC, I know we would have to trade for him but if we were to get a pick in the 10-13 range I won’t mind trading it to Kings for him he would Improve our shooting in a big way. Do you seriously think Magic would ever even entertain the notion of Bogdan? Windy is usually full of hot air, but this sadly sounds spot on. Real question, the Buss family ain’t selling, so what do they do? Does Jeannie understand we’ll be getting a rep if this keeps going like the Knicks? If you count spelling he is a big name. It was later on in the show and just in passing. He probably meant that it’s a wise signing instead of swinging for the fences like the Lakers always do. I assume he also feels Bojan would be a good fit next to Lebron. 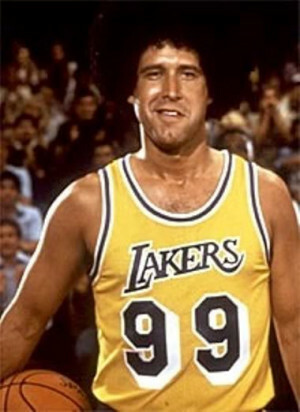 Lakers used to be about WINNING both on court and off. Lakers are still winning off the court as their profits are amazing. As long as people keep buying tickets I doubt that it will matter to the Buss family. So there's this kid that been stalking you all your life. Went to the same high school as you, so digs around the people that you know. Goes through your trash and follows you around from city to city. His whole life is about creating a story about any little tidbit that happens in your life. Who the (bleep) wants to listen to what this psychopath has to say? That's Brian Windhorst. Also, Ingram's blood clot was only found because he couldn't move his arm. Not some super-insightful "House"-like dramatic diagnosis. Luke doesn't have a clue what to do with centers. He asked for and got Mozgov. Didn't know what to do with him. He asked for and got Bogut. Didn't know what to do with him. Don't know if he asked for Brook Lopez, but didn't know what to do with him. Didn't play Thomas Bryant. Didn't play Zubac. Tried playing Randle at small ball center. Got Javale and did okay but overused him and Javale can't play that heavy minutes. Asked for Chandler and didn't do anything with him but Chandler is basically washed anyway. Tried playing Kuzma at small ball center. Another disaster. Basically now playing Lebron at center. Here's a clue, it doesn't matter what center Luke gets, he can't utilize the center well and only finds out the center is good after being forced to play them due to injuries. All the points in the OP sound pretty on target. Right. Only if the revenue stream died based on the poor on court product. But it won't for a while. 6 years in and we have the worst record during that time span and making at the top of profits. That's the one point missed in this podcast. Luke and his staff are pretty awful. Great points. The Lakers have the most lucrative TV deal in sports history but also failed to have any semblance of competitiveness over that stretch of time. 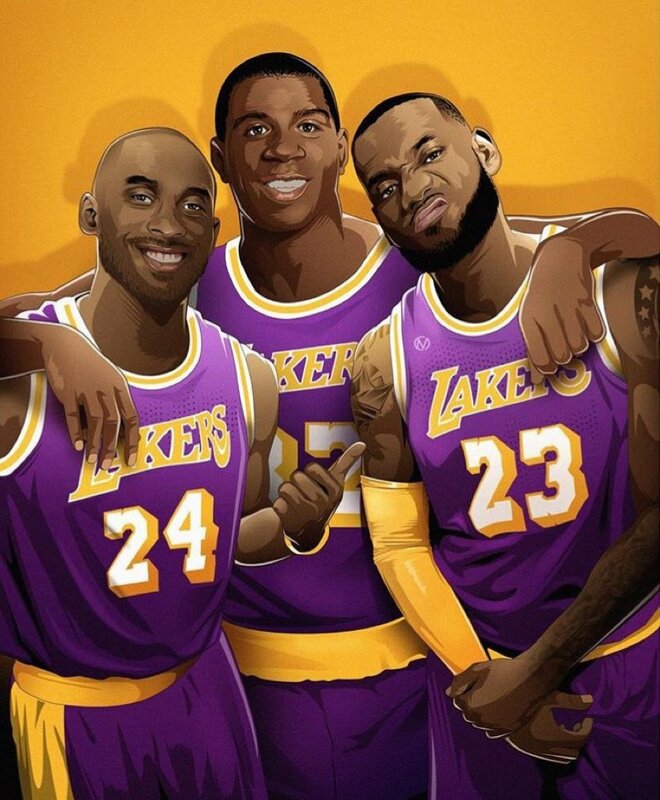 Just old, injured Kobe and Lebron, false promise of youth, and a bunch of dirty bandages. last time Knicks won it was 30 years ago. The Lakers will never win again continuing to do what they do now. It’s true, but maybe that can be filed under research and innovation. The Bucks didn’t get a big name, but they did their small market research and they are set on a coach for a while. Plus they are keeping Giannis happy, which is most important for a small market. Probably the main reason they aren't in the playoffs. Foundation is the stepping stone to winning championships, although star power enhances chances. Ask the Nugs, Warriors or even Clippers. The Clippers traded away Bradley and Tobias and haven't missed a beat; Doc rivers has created a plug and play system for them. BroLo and Randle were coming along just fine last season. The FO disrupted something special at the C position. Posted: Tue Mar 12, 2019 10:17 am Post subject: Re: Brian Windhorst Breaks Down the Disastrous Lakers Season. This is exactly what is being said from many around the league with close inside knowledge of the Lakers. Jorge Sedano & Amin Elhassin talked about it last week on 710 ESPN. I didn’t include this on purpose, but Pelton mentioned how the Lakers are closer to the Knicks than the Warriors. The truth hurts.